After all the festivities from last year’s holidays, the new year is finally here. There’s no better time to set new goals and make positive changes in our lives than now – we’re feeling fresh and ready to take on any challenge that comes to us. Of course, new year resolutions don’t have to apply solely for us humans. Getting our pets involved is a sure-fire way to jumpstart the year right and foster a healthy relationship with them at the same time. By making solid adjustments in both our lifestyles, our pets will surely appreciate the efforts we make. 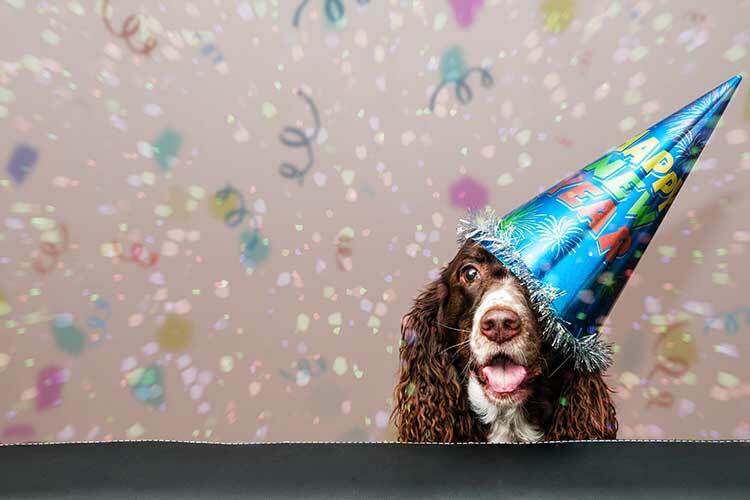 Here are a few suggestions that could help you and your pets take on 2018 together. First on our list is a no-brainer. If you and your pets haven’t already been exercising, now is the best time to start. Exercise is the easiest and most effective way to keep our bodies healthy and in shape. Like humans, pets that don’t get enough exercise can become overweight which puts their health at serious risk. As responsible pet owners, we should take it upon ourselves to take them through their daily or, at the very least, weekly exercise routine. Based on their age, breed, size and overall health, a dog will need around 30 minutes to two hours of exercise per day. An easy exercise we can recommend is on-leash running or biking. This way, both you and your dog can get that much needed cardio for the day. As for cats, keeping plenty of toys around or using a laser-pointer to play with them is a simple way to get them to move. If you happen to find yourself too busy or have no time to exercise with your pets on a daily basis, give us a call at Pet Nanny. Our well-qualified sitters will be more than happy to take care of your pets’ daily exercise for you. No need for pick-ups and drops-off, we come to you! We even personalize our visit routines to suit your specifications and your dog’s needs. As we’ve already mentioned, overweight pets have a higher risk of developing health complications. An easy way to tell if they are overweight is by feeling for their backbone and ribs. If you’re a having a hard time feeling them through their layers, they could be overweight. Another indicator is if their stomachs aren’t raised when inspecting them from the side. Keeping them on a strict diet can greatly improve your pets’ health and well-being. Contrary to popular belief, kibble is not a healthy source of nutrition for our pets. Imagine having cereal everyday for the rest of your life. That’s basically what most pets have to consume everyday in their lifetime. A raw food diet consisting of meat and bones is most ideal for your pets as it has been observed to give them healthier skin, shinier coats, cleaner teeth, and higher energy levels. Regulating their diet is not easy but your pets will most definitely love you for it. Regular grooming and good hygiene is an absolute must for both owners and pets. Brushing your pet’s coat daily helps in bringing out the natural oils in their fur, promotes good blood circulation and keeps grease levels down. Grooming also helps you check for any abnormal skin problems such as ticks, fleas, dry patches or sebaceous cysts, as well as infections or inflammations regarding their nails, teeth, ears and eyes. Bathing your dog once a month with dog shampoo is our usual recommendation as giving too many baths can strip their coats of their fur’s natural oils that help protect their skin. Pets are a reflection of their owners, and healthy, sweet-smelling pets will always say something about you. Pet Nanny highly recommends pet adoption. According to studies, roughly 2.7 million dogs and cats are euthanized in the United States every year due to animal shelters being unable to sustain the sheer number of strays they acquire. Help these beautiful creatures find new homes and adopt a pet now. Not only is it more economical, it can save a life as well. The new year brings change. Where better to start that change than with our pets. We hope this article gives you good insight on how you can bring about that change. 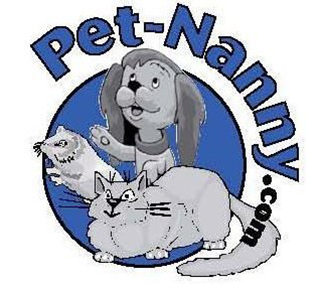 Pet Nanny provides the best services for your pets and can help you with anything you might need from daily lunch dog walking, daily kitty care visits to your home, vacation sitting, regular feeding and other pet-related things. 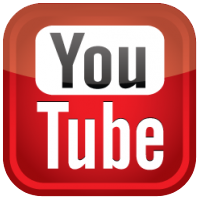 Give us a call at 734-981-6108 or use our on-line website new client form and we will be in touch with you shortly. Also please follow us on our social media accounts: Facebook Fan Page | Twitter Account | Google+ Listing | YouTube Channel to stay updated on everything pet-related.